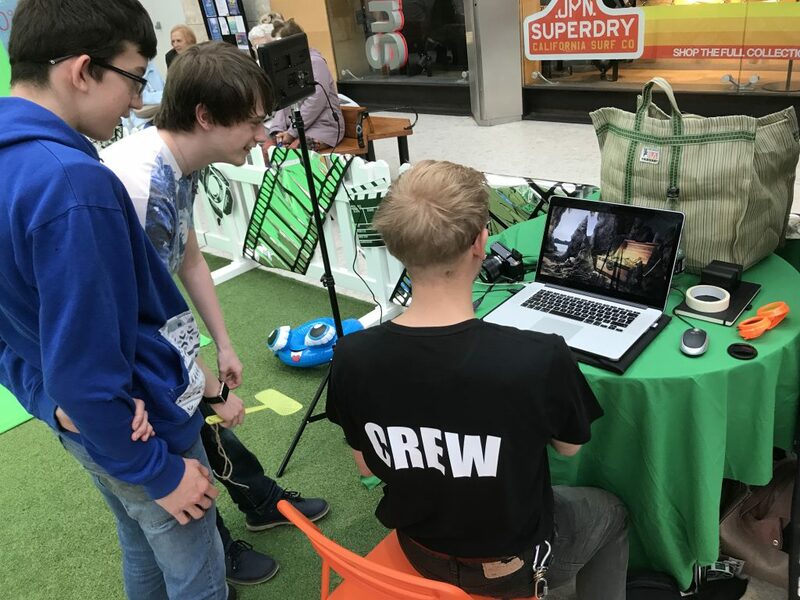 We recently created an interactive art project to engage shoppers in Quadrant Shopping, Swansea. 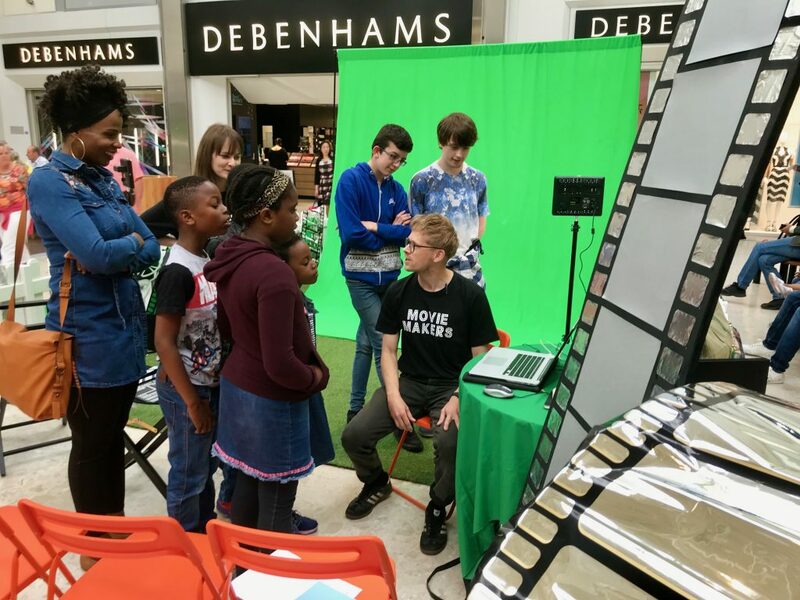 The project, held in May half term, was based on film-making and taught people basic green-screen skills to encourage creative thinking. During the May half term, Urban Foundry brought Hollywood to Quadrant Shopping by offering Swansea shoppers the chance to get in front of the camera and make their very own short film with the help of props and a green screen. Experienced film-makers and visual artists Aled Simmons and Amy Treharne facilitated the interactive workshops and taught participants some basic green screen video techniques. In recognition of 2018 being named Year of the Sea, the children and adults were submerged into an aquatic world (via the green screen) where they swam with turtles and tropical fish. 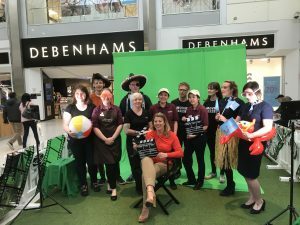 Local retailers also took part with staff from Boots, TUI, Thorntons and Krispy Kreme getting into character for the short clips. Movie Makers worked with over 100 children and 20 adults to make short video clips. It brought film-making to a wider audience and introduced some basic techniques to participants. 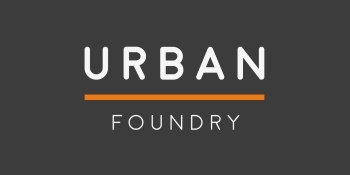 Urban Foundry places a great importance on the role art plays in education, engagement and in improving wellbeing. This initiative brought in local artists to work with the wider community and share some of their skills. 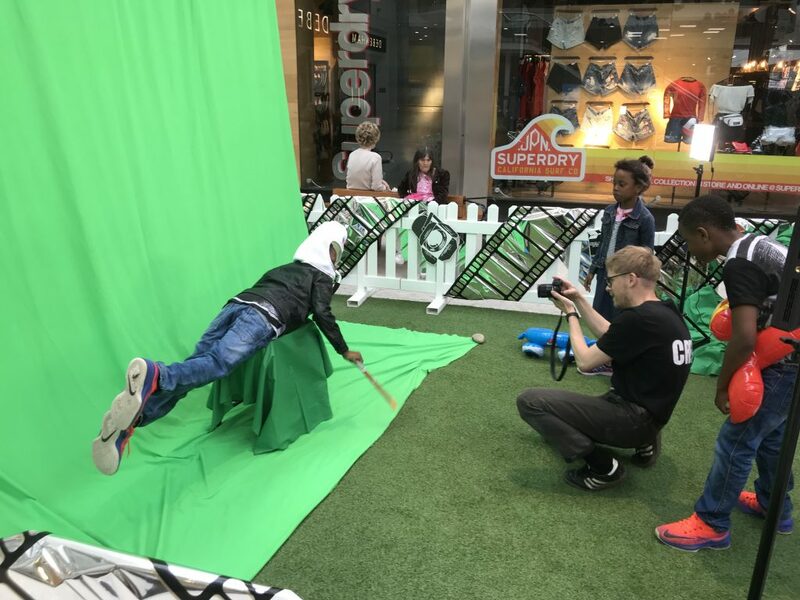 Urban Foundry worked for Bewonder*(Quadrant Shopping’s marketing agency) to deliver this initiative and it followed on from the successful pop-up park Urban Foundry created for them in 2017. Further art-based activities are planned for August 2018 and February 2019.